1. Wash and cut snake guard as shown in the pic.Remove the inner seed. 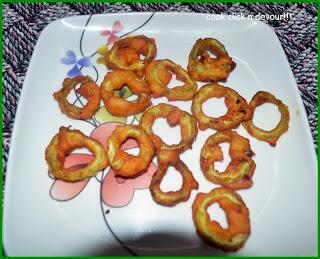 2.Mix all the other ingredients except oil to a smooth batter.Mix in the cut vegetable rings to the batter and keep aside for 10-15 minutes. 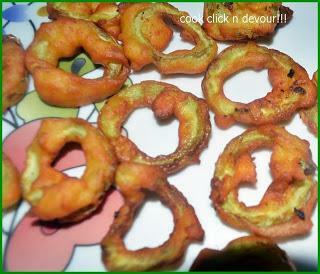 3.Heat a kadai and deep fry the vegetable rings till golden brown from both sides. 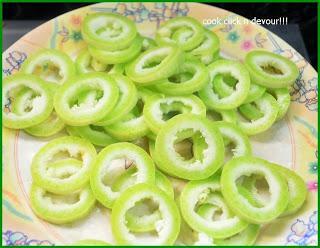 5.Serve hot with rice or serve as snacks with coffee. 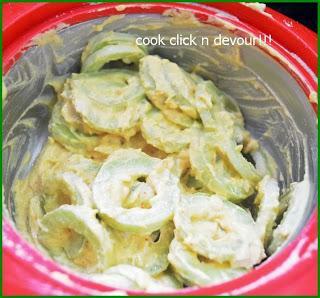 1.Using tender snake guard gives best taste.The slight sweetness comes only from tender and fresh vegetables. 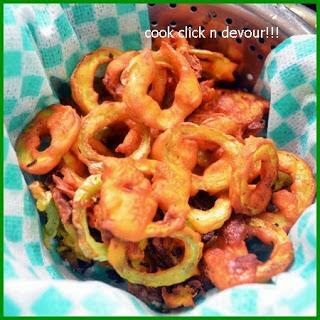 2.If you prefer very crisp bajjis include 1/2 teaspoon cornflour to the batter. 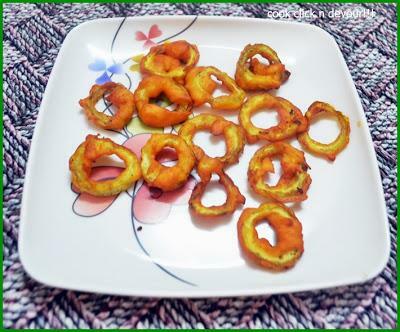 3.I have coated the rings with very little as I wanted the vegetable to shine.If you need to make like traditional bajji,make the batter little more thick(decrease curd by 1 tablespoon) and coat the vegetables.